How much is Brett Raymer Worth? Brett Raymer net worth: Brett Raymer is an American businessman and television personality who has a net worth of $5 million dollars. Born in Brooklyn, New York, Brett Raymer graduated from Abraham Lincoln High School, where he played multiple sports, including football and tennis. He relocated to Las Vegas to help his family open a tank-building shop. The business, called Acrylic Tank Manufacturing, or ATM, has become one of the most successful custom aquarium companies in the world. 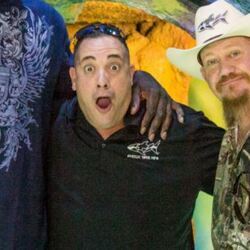 The shop is the focus of the Animal Planet reality series, "Tanked", which follows Mr. Raymer, his brother-in-law, Wayde King, his sister, Heather, and their father, Irwin Raymer, as they run the aquarium company, and process the particular needs of their customers. Brett Raymer is the current COO of ATM, and is known for his confidence and his ability to bring in new customers. 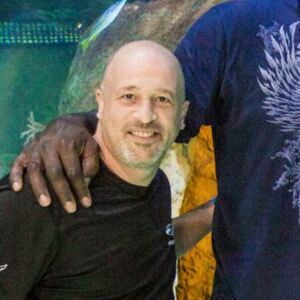 "Tanked" began airing in August of 2011, and recently completed its second season.